Learning about Visual IQ, a Nielsen company? "User friendly and re-attributed CPL"
The possibility to easily upload costs makes our budgeting process fast and reliable. VIQ is userfriendly, really easy to use so the learning curve of the platform is fast. I would like to have an automatic "check" of data imported from Sizmek Adserver. Metrics such as conversions and impressions should match perfectly with the source of the import and it's hard sometimes to find the unmatching points by manually comparing VIQ report with Sizmek one . Thanks to VIQ we can upload budgets and we obtain a re-attribution of the conversions, this means a more significant CPL for our analysis. We can base the most part of our analysis on the true CPL and extract suggestions to drive our business decisions. I like being able to validate suspicions around what's driving efficient results within our media plans. We have internal debates around strategy so it's helpful to use the tool to tie back to the initial plan. The amount of time and effort standing up the technology, integrations, maintenance, and developing reporting in a useful format for the client is quite large. It requires quite a bit of man power to stand up the technology, cost integrations, and making use of the report center in an efficient manner for the client. Tacking this on top of a full time job where someone is already stretched thin is challenging. We are filling the gap of the previous last touch model by evaluating media plan performance with an MTA solution to determine efficiency across all types of goals. We have realized that our "awareness" initiatives continue to not play a big role in leading to an acquisition. We were originally under the impression that our awareness initiatives might feed our direct response initiatives in the conversion funnel, but most awareness lines are still not playing a role in the conversion path. "Great once it's up and running!" VisualIQ has given us visibility on performance across all of our digital marketing channels. The tool is sophisticated and the data that it provides is unmatched. The tool has given us a lens, particularly on upper funnel tactics, that allows us to determine who our best partners are. Getting the tool up and running with a large marketing mix is a bit of a beast. It takes time to work through the best way to set up the platform to sync with your ad server and there were bumps along the way. Also, not everything is automated. The majority of the data will come directly from your adserver into VisualIQ but there are exceptions, particularly with dynamic cost, which has to be manually uploaded into the system. We now have the ability to determine performance across multiple channels using VIQ data which again is particularly helpful looking at upper funnel tactics that in a last touch model generally don't get a lot a credit. The tool has also helped us with media planning helping to determine optimal spend levels at a tactical level and across channels. The account management teams are very smart, and we've been able to solve some real "head scratchers." VIQ has been willing to develop new solutions and reports to help answer many of our business challenges, and we feel they are a true partner. The dashboard could be better, but I still get the gist of what I need. We have been able to re-balance our budgets away from just bottom of the funnel into building the width of our funnel by understanding up-stream impact. We were able to identify substantial savings from places where we were over-invested based on a last touch world. "Mediocre Platform, more like a kludge attribution platform"
Nothing, we have been with Visual IQ for almost 6 months and we have not been able to use it appropriately due to data loading issues, unresponsive UI and inaccurate attribution. - Customer Success (more like Failure) team is very unhelpful. - Data is sometimes 2-3 days behind, making it impossible to optimize marketing campaign the following day. - Support team keeps changing the back end without informing clients. - Tracking pixels are sometimes banned from some publishers. - They claim to have a direct integration with Facebook, which breaks all the time, so they have to re-upload paid social data, this usually happens very late. STAY AWAY FROM VISUAL IQ, or Algorithmic attribution. It does NOT work. The best approach for attribution is INCREMENTAL Analysis. Optimizing spend by marketing channels and using attribution data for planning/forecasting. Thank you for taking the time to review our platform. We'd like to learn more about the specifics of your engagement and how we can help. Over the past ten years, many companies have gotten great results from our platform and we’d like to make that the case for you as well. If you could reach out to Manoj Mathew at manoj.mathew@nielsen.com we would greatly appreciate it! "Insightful MTA platform with good customer service"
The conversion attribution data that we can get from VIQ is priceless. They also have a very responsive and proactive support team. The UI could be more user friendly and with any tool we wish there were more ways to split the data. For example by DMA or Device without the large undertaking on our end of setting-up separate campaigns. While the sales teams are responsive, it would be helpful if they knew more of the ins-and-out of the tool. A large amount of questions need to be answers by a support specialist. Our business problem is to understand the true impact each channel has on the overall path to purchase and through VIQ we have been able to allocate dollars accordingly based on the true conversion performance. Native implementation with Facebook. Not only does it save time, but it makes a major part of our social implementation turn-key. I wish there was a cleaner way to connect to Twitter. Excited about the Pinterest beta, but would like to see Twitter implemented if possible. Obviously, it's difficult to partner with a client, so it's a minor grief at best. We can finally tell the full story for social and are now completely restructuring our social campaigns. Before our client was stuck utilizing last touch attribution which told a completely unfair story against paid search and display. The client understood social was better than reported, but it's difficult to show complete faith when the hard numbers disagree. I am particularly impressed with ViQ's account management, which has been supportive since the onset of the relationship. I wish that ViQ had supporting documentation in the set-up and implementation phase. My company has a better understanding of how to deploy our portfolio of marketing investment across channels, tactics and audiences. ViQ does exactly what it sets out to do -- it assists my company as it seeks to quantify the return on investment from Marketing. "Timely with few initial benefits"
I appreciate the affirmation of the way we have decided to invest our dollars. We are not seeing a huge difference in performance from the last touch data. If it stinks in last touch, well then it stinks it VIQ as well. It is showing us that we have spend our money the right way. The time and attention. The reporting center is clunky and slow. You have to readjust the cross-attribution view every time, so you can never quickly pull data. In addition, IQ Sage was not the product we envisioned. We thought that it would be more of a predictive tool to help plan future campaigns. It does not spit out easy results. It is another layer of analyzing that is not useful for media planners that don't spend their days in heavy data. Have a dedicated team to get the tool setup and then to monitor once live. We are solving cross attribution between three channels. We have not gotten the chance to use this between channels, but we have used it within each channel to cut down on frequency caps, eliminate partners, and cut down on keywords. 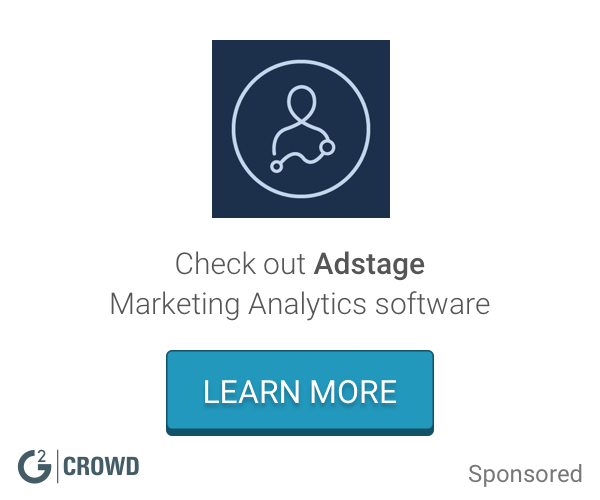 "One of the best MTA tools used"
Ability to elaborate tons of data from adserver and the visibility on performance across all of digital marketing channels. This helps a lot our decisions on budget allocation and campigns optimization. Initial set up of the tool a little bit tricky. Sometimes there are some lacks on data received from our adserver but the VIQ support team is ready to help. Unfortunately not everything is automated (e.g. programmatic/dynamic costs) and we had to study a workaround to upload some data manually. Feature that sends re-attributed conversions to DSPs worked not properly during last year. It optimizes costs and budget allocation. Saves time and improve ROI. Great insights into what is and also what isn’t driving performance. The fact that you can drill down to the most granular level is also a key benefit. My only criticism is the interface can occasionally be slightly sluggish. Helping us to allocate spend at the correct level within the marketing funnel. "Great model but needs more support on timely education and ongoing customer service"
The algorithm and expansive partnership with major publishers. due to complexity of the integration, do have dedicated analytics and engineering resource to make sure the initial integration as well as ongoing maintenance meet constantly changing marketing needs. How does online media impact my offline transactions? Without a running MMM model, the offline attribution integration is able to provide a baseline return of marketing investment for offline performance. "Still not working a year into the contract"
There is nothing great yet as we still don’t have the platform working. We were sold in on its ease of use.....Not a simple tool. Requires a very heavy touch approach. Constant missed milestones. Worst vendor implementation I have ever been a part of. I would put a payment clause in that you only start paying for the tool ONCE it is live or if the project go live date is delayed by X months that monthly payments stop. We would like to solve attribution. But do not know what we can solve. Thank you for taking the time to review our platform. We'd like to learn more about your specific situation and how we can make your experience a more positive one. Could you find the time to connect with our Director of Customer Success Wendy McClintock at wendy.mcclintock@nielsen.com at your earliest convenience? We would greatly appreciate it. We look forward to speaking with you. The hands-on help from the Visual IQ implementation and account team. The process for updating changes discovered in the Visual IQ platform. We are trying to solve multi-touch attribution for our client. Taking into account paid and non-paid channels to determine the most efficient ways to drive conversions. Determining how channels work together throughout multiple touchpoints of the consumer journey has allowed us to analyze where our investment is best spent. VIQ has a solid reputation, so there is no need to defend their data, findings or methodology. Their technology is somewhat antiquated and inflexible. You are paying a premium for their reputation, since they really don't have an innovative solution relative to others in the market. Push them for delivering on features that competitors provide - the ability to meet competitive alternatives is all very doable and possible. There is no need to pay a premium for a category for with so many alternatives approaching commoditization. Understand the value of various media touch points across a digital funnel on sales. VIQ allowed us to better understand where to shift media spend and where to tweak, though the guidance was not as specific as you would expect. Nothing is good about this service. They cannot even obtain their own data. The lies that were told to my client, which included API integrations which they did not have which we had to provide data to them for their service to work. When problems arose, they would blame other people and on calls the advisor would speak over you instead of listening. Nothing was solved. My client left Visual IQ due to the problems. * We monitor all visual IQ reviews to prevent fraudulent reviews and keep review quality high. We do not post reviews by company employees or direct competitors. Validated reviews require the user to submit a screenshot of the product containing their user ID, in order to verify a user is an actual user of the product. Hi there! 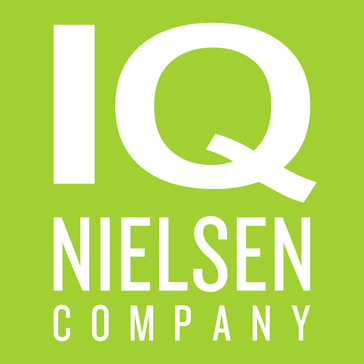 Are you looking to implement a solution like Visual IQ, a Nielsen company?